Thirteen-year old Ramy Shehata hid his phone from the hijacker of an Italian school bus calling police to help rescue those trapped on the bus. 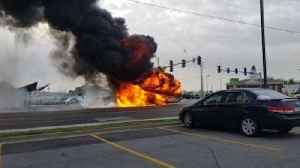 A serious crash between two cars and a bus occurred on 40th and North. 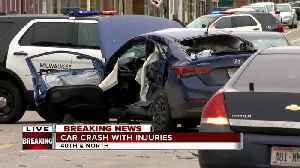 According to witnesses, the blue Hyundai was being chased by police. Three men in the car were taken away in ambulances. 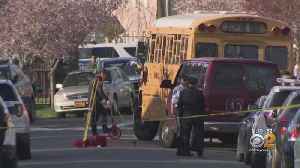 CBS2's Lisa Rozner has the latest on the child killed after he was pinned between a school bus and van in Far Rockaway. An illegal gathering of automotive enthusiasts in East Oakland descended into violence on Sunday, April 14, with police reporting shots fired and vehicles set on fire. 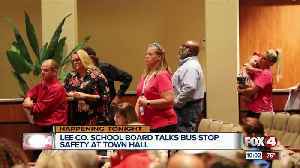 According to the Oakland Police..
Tuesday night, the Lee County School district held a town hall meeting focusing on school bus safety. 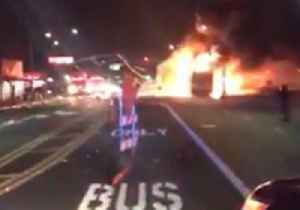 A Fort Smith bus driver is being called a hero after all of his passengers made it off safely when flames flooded a transit bus. 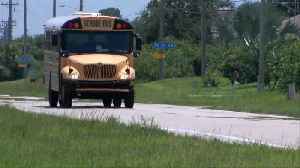 WHAT WOULD YOU PROPOSE?Today the Lee County School District will be holding a town hall meeting focusing on school bus safety.